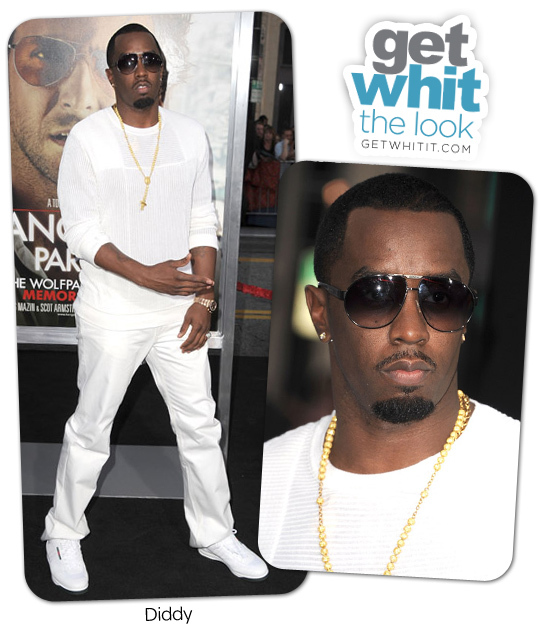 Diddy attended the premiere for "The Hangover Part II" last week and kept it fresh in all white. He wore a light sweater with pants and sneakers. Simple look, always classic.